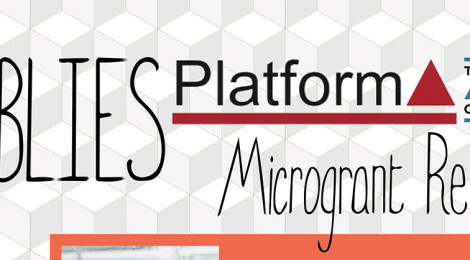 Platform A Microgrant Recipients Announced! Browse: Home / Platform A Microgrant Recipients Announced! We are excited to announce the recipients of this year’s Platform A Microgrants, provided with funding from the Toronto Arts Council. We received excellent proposals and the selected grantees illustrate the fine quality of work being done by emerging artists in Toronto. Projects will include photography, animation, theatre, dance, fashion, film, puppetry, and painting. Stay tuned: some of these artists will be leading workshops at The Ground Floor, or one of our Offshoots, and there will be opportunities to experience their projects first-hand. We will also be introducing and following along with each of them over the next couple months, and sharing what they explore and create.